With the help of Centro de Trabajadores Unidos, a worker and immigrant rights center on the city’s far Southeast Side, Sandoval and the women formed Las Visionarias (The Visionaries) Cooperativa two years ago. 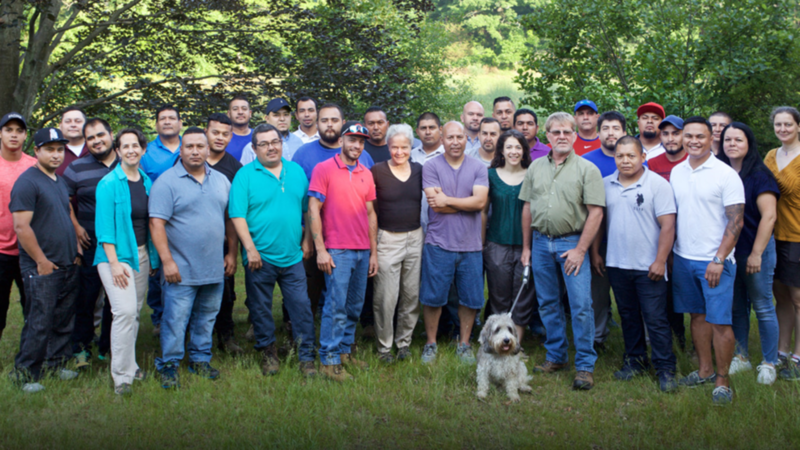 The female-led catering company specializing in Mexican dishes became CTU’s first worker cooperative. In a worker co-op, workers are also the owners and share profits among themselves. But starting a worker co-op faces particular challenges in Illinois: state law regulating cooperatives is ill-suited to creating worker-owned businesses. The women had difficulties getting licensing from the city, obtaining a bank account and insurance for a company with more than one owner. They even struggled to find a consultant to help write a business plan and navigate issues associated with opening a cooperative in Chicago. “They went through hell trying to get a food license from the city because our own city departments don’t recognize co-ops,” said CTU’s Executive Director Ana Guajardo Carrillo. Worker co-ops are businesses that are cooperatively-owned and cooperatively-controlled by workers. Sandoval and Las Visionarias are part of a larger movement taking shape in Chicago aimed at growing worker co-ops. Jobs created by these entities have the potential to pay better wages, provide better working conditions, even build community wealth. Chicago co-op developers and business advocates want to tap this potential by revamping state law to make it easier to establish worker co-ops and build a network of support organizations for them.